The man in the wheelchair needed help from his friends to go up three steps to get near Kevin Durant in the VIP section. The timing wasn’t the greatest, as it was nearly 1 a.m. at a San Francisco nightclub just weeks after the stunning news of the NBA star’s plans to join the Golden State Warriors. And security guards were making sure he had his space and privacy. However, something told Durant to let Arthur Renowitzky and his wheelchair through. And once Renowitzky spoke to Durant, the two formed a relationship that remains bonded with a bracelet. 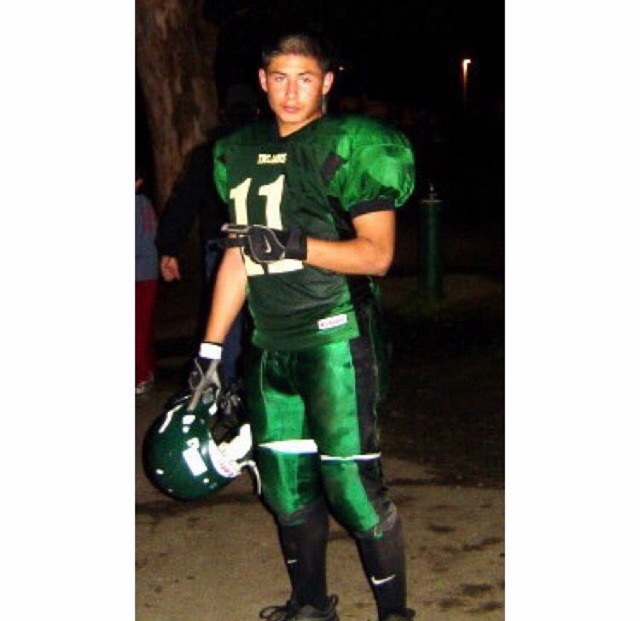 In 2007, as a sophomore cornerback at Chabot College, Renowitzky appeared to have a bright future. He had just earned his real estate license, and the then-20-year-old had no history of juvenile detention or major mischief. But after leaving an under-21 nightclub in San Francisco with some teammates on Dec. 2, 2007, Renowitzky was robbed and shot in the chest. The shooter ran away and was never found. “Everything happened so fast,” Renowitzky, 29, said. “The kid had to be no older than me. I’ve never seen him before in my life. The squeeze of the trigger happened so fast. I ended up on the ground fighting for my life. My first reaction was to get up and run away. I’ve been playing sports my entire life. I’m an athlete. Renowitzky was rushed to San Francisco General Hospital, where he was placed in a medically induced coma that lasted 21 days. He woke up on Christmas Eve 2007 in a hospital bed. His doctor told him that he was paralyzed from the chest down, he would never walk again and perhaps never talk again. “The bullet goes through my chest, both of my lungs, shatters my spine around the T3 vertebrae. It was a complete spinal cord injury. The bullet is still lodged in my spine to this day,” Renowitzky said. Durant learned a lot from Renowitzky’s tragic story nine years later at the club. “It’s really heartbreaking for anybody to go through something like that,” Durant said. “It really tests your resiliency. It tests your heart, strength and courage. We talk about mental toughness a lot throughout sports. But imagine having to go through that where you feel like you don’t have any more hope. Renowitzky said he was yearning for inspiration after being paralyzed. He was praying to get his voice back to use it for something positive. He worked hard and eventually got his voice back in 2008 and then began thinking of ideas to live up to his promise in his prayers. “’What am I going to do from now on?’ I wanted to start a movement. One night lying in bed and going through all this pain, I decided I wanted to start a foundation to stop gun violence, make sure this doesn’t happen to another youth and to start a movement of positive impact on the world using my voice for it,” he said. Renowitzky founded the nonprofit Life Goes on Foundation (LGO) in 2009 with a mission to help victims of gun violence and people living with spinal-cord injury and any other disabilities. LGO gives financial support to spinal cord injury victims with the goal of advancing the personal independence and wellness of individuals living with disabilities. Renowitzky says he has spoken to numerous California high schools and middle schools, juvenile halls, disciplinary camps, Boys & Girls Clubs, YMCAs, churches, hospitals, rehabilitation facilities and colleges. He has traveled to London and Dubai to speak and has addressed more than 100,000 young people. 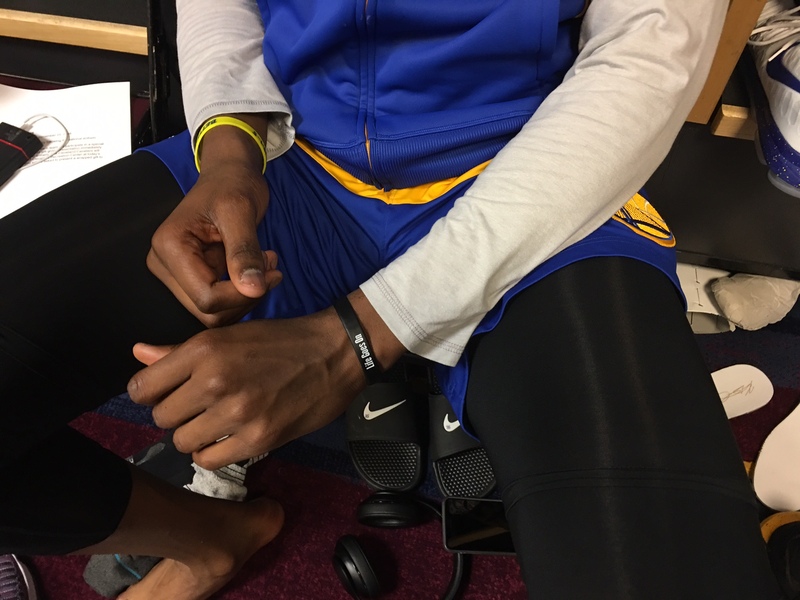 The bracelet Renowitzky gave Durant says, “Life Goes On,” and has the Life Goes on Foundation logo and website on it. The sight of it actually helped Durant move forward from his major life changes last summer. The 2014 NBA Most Valuable Player still wears the black bracelet on his left wrist during Warriors games. 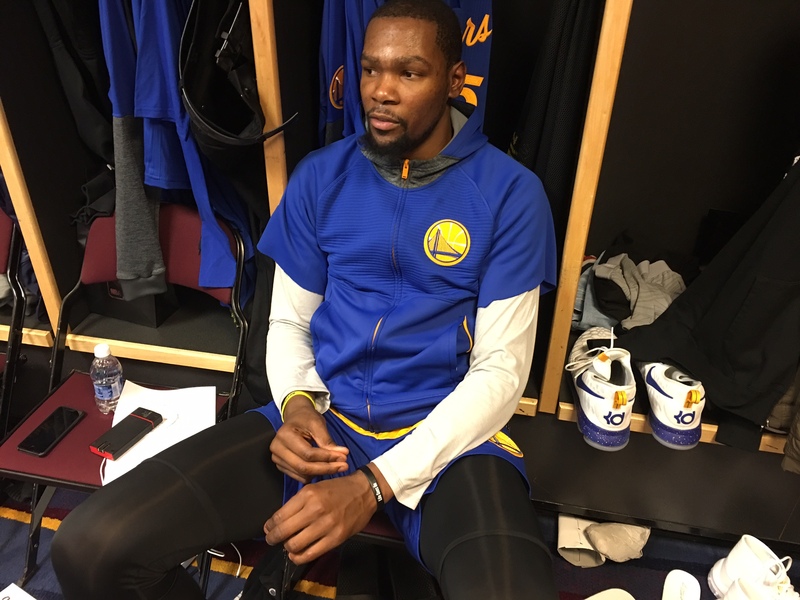 After choosing Golden State, Durant instantly received criticism for departing to a Western Conference rival that defeated his former team the Oklahoma City Thunder in the conference finals. As if adapting to a new city and team weren’t stressful enough, he was also playing in the Rio de Janeiro Games. Renowitzky says that people regularly tell him they see Durant wearing the bracelet. He is flattered and happy about the public awareness Durant’s support has brought to his foundation. Renowitzky describes himself as “a huge Warriors fan” and he is a regular at Warriors home games. He also previously built a bond with the Warriors All-Star guard Stephen Curry and Klay Thompson. Curry was one of the first celebrities whom Renowitzky connected with after they met in 2010 following a Warriors game. Curry also supported Renowitzky by wearing his Life Goes On bracelet and beanie and gave the foundation tickets to games for children. “Just the way he’s turned his story into a positive and taken control of the situation is pretty amazing,” Curry told The Undefeated. “You can see how much basketball means to him … And obviously, the message of Life Goes On, I wear some of his gear, that is the most optimistic, positive way you can handle a situation like his. 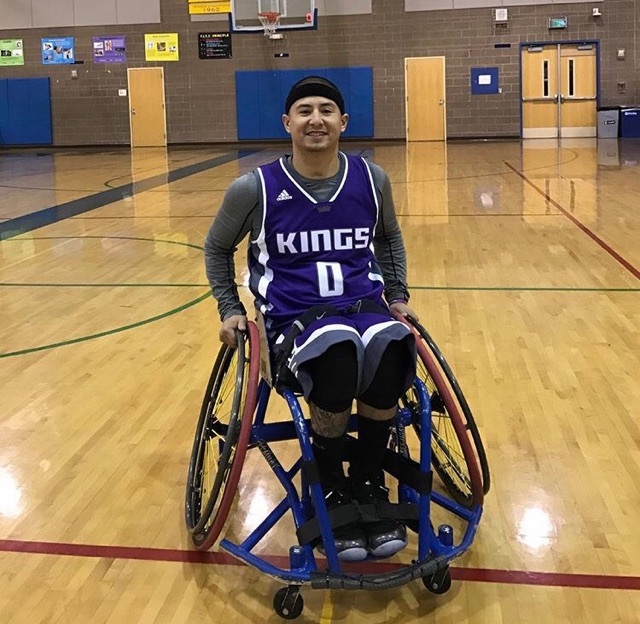 Renowitzky plays point guard for the Sacramento Rollin Kings wheelchair basketball team. He also plays on a semipro team and coaches a Boys & Girls Club team. When Thompson and Renowitzky met in 2012, they ended up playing wheelchair basketball together. Last year, Renowitzky was able to walk for the first time since being shot, with the aid of some robotic legs. He still dreams of the day when he will walk again on his own power. Until then, life goes on.